Ed Sheeran joins Taylor Swift on tour in March and is wowing audiences with his album "+". Hailed with critical acclaim as the “Breakout Star of 2013” by Billboard and Rolling Stone magazines, with rave reviews for his album “+” in Entertainment Weekly and People, this British singer/songwriter is making lightning fast tracks straight to the top. Sheeran’s hit single “The A Team” is nominated for a Grammy for “Song of the Year”, has over 50 million video views online, and has already sold over a million copies. Sheeran's current tour--including stops at esteemed venues Radio City Music Hall, Nashville’s Ryman Auditorium and Hollywood’s Palladium--is sold out. A stunning start to the New Year indeed! Sheeran’s thoughtful, generous, charismatic disposition is a bonus to his genuine talent. 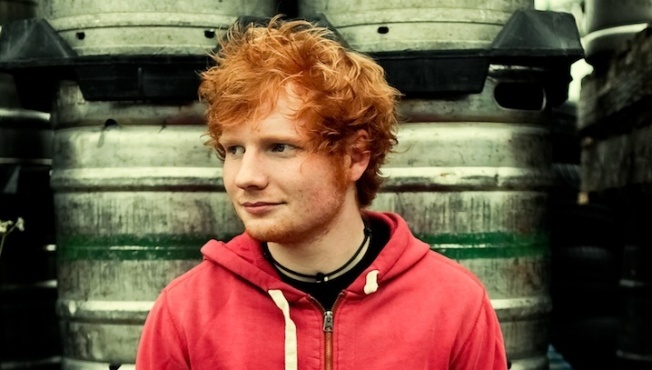 Blending soulful vocals with organic folk introspection and irresistible hip-hop hooks, Sheeran has not only created his own original music, he has also managed to find time to collaborate with a number of his chart-topping contemporaries, including the white-hot gents of One Direction and mega-star Taylor Swift, with whom he has co-written and performed the duet, “Everything Has Changed”, featured on Swift’s blockbuster new album “RED”. Following his headlining tour, Sheeran joins Swift on her hugely anticipated “RED” tour kicking off in March. Yes, it is arena and stadium time, and well-deserved. Inspired by such diverse artists as James Morrison, Damien Rice, and Jay-Z, Sheeran looks to be a long-lasting performer and writer who will only continue to garner critical praise and sell out shows. Listen to the recent Sheeran profile on National Public Radio’s “Morning Edition," and check out his music and more at EdSheeran.com.